How time flies! My friend Yangmei from China will be returning home next week after an extended stay in the USA. She has taught me many quick and easy Chinese recipes and I will have to find the time to post them all one of these days. However, my favorite recipe that I've learned from her is also the easiest. 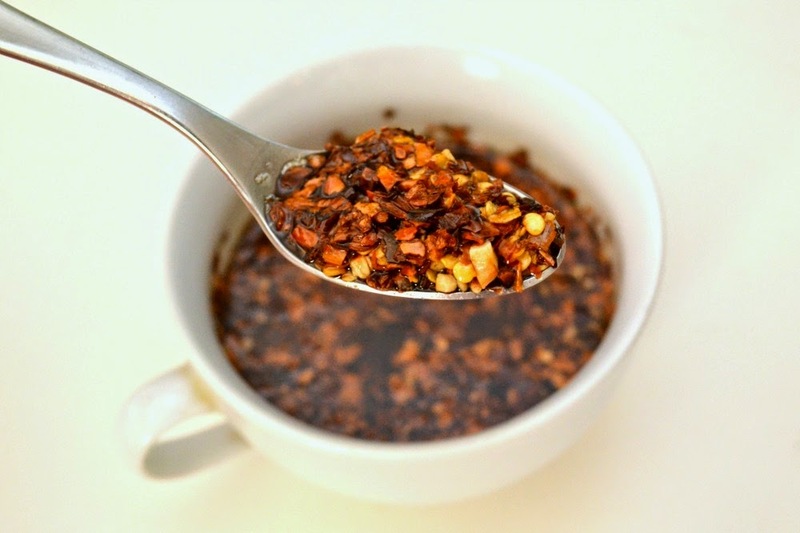 It is this Chinese chili oil recipe.